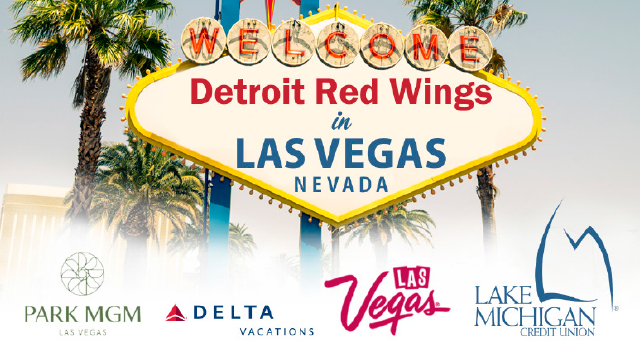 News from LMCU: Win a trip to see the Red Wings in Vegas! Win a trip to see the Red Wings in Vegas! Enter for a chance to win a 3-night, 4-day trip to see the Detroit Red Wings in Las Vegas! Winner will receive a 3-night stay at the Park MGM Las Vegas, round-trip airfare for two, and two tickets to see the Detroit Red Wings vs. Vegas Golden Knights. Sweepstakes runs from February 1-28, and winner will be chosen on March 1, 2019. Visit LMCU.org/MemberPerks for full details, sweepstakes rules and to enter.